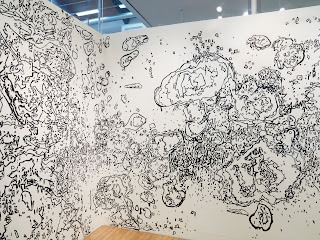 David Shapleigh whose wonderful drawings were installed at Freedom Trails Gallery during the Biennial was also selected for the inaugural exhibit Out of Bounds drawing Biennail at Wheaton College which opened Feb. 27 - April 13, 2013. 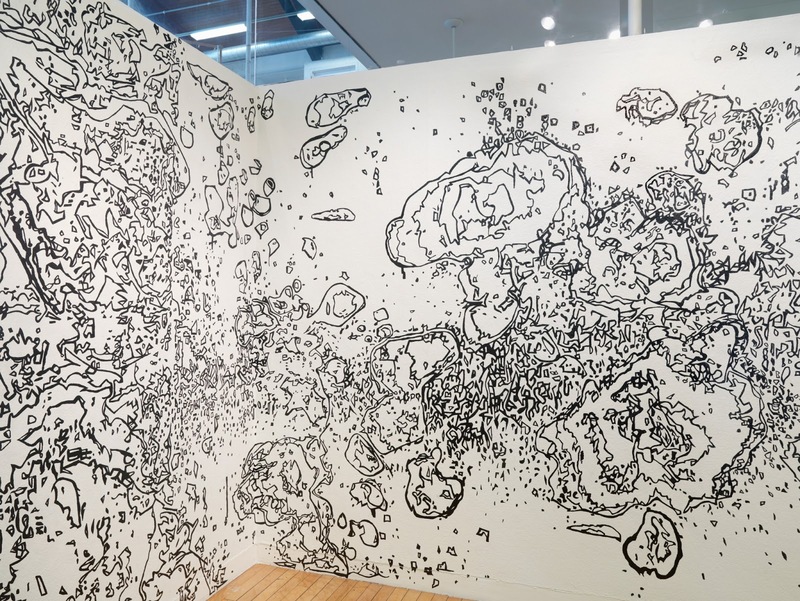 The juror was Judith Tannebaum, curator of contemporary art at RISD Museum of Art. Also it seems several Amherst Biennial artists were invited the the REACH exhibit this Spring. REACH is an invitational exhibition of non-traditional artists, performers and sound artists from a spectrum of locatons including the Pioneer Valley, Boston, NYC and beyond. Exhibitions will begin in April 2013 in nine venues located in Easthampton and Holyoke, MA. All are invited to participate in the REACH One Minute Videofest that will be on view during REACH Fest. Biennial artists that are participating are: Rosalyn Driscoll, Chris Nelson, Maggie Nowinski, Alicia Renadette and David Shapleigh.